Martin has 10 years experience in customer services heading up functions from provider management, global service organization setups up to innovations and technology trends to develop customer services of the future. He is constantly involved in further development of the overall customer service organization – including the consolidation of client organizations, setting up different role models between clients / providers and centralization of global core functions for production. 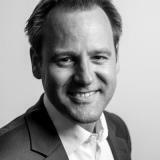 Since 2016 he is responsible to develop new service concepts for customer services for all three Lufthansa Group Airlines Lufthansa, Swiss and Austrian. The digital transformation of customer services, customer journey mapping & integrated touchpoint mgmt and the enabling of new technology opportunities are his actual focus. Always designing services from the perspective of customers – and combining the benefits of “digital” & “physical” experiences.